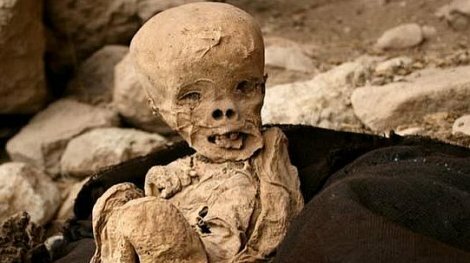 Archaelologists in Cuzco were performing recovery work in the Chiñisiri Archaelogical complex when they discovered a mummified body of a child in very good condition in the tombs. It is believed that the child, maybe 5-6 years old, and about 50 inches tall, is pre-Incan, as many of the tombs found in this site pre-date the Incas. They think that the child could be from the Wari culture, which flourished from 500-1000 A.D. I always find it incredibly amazing that things could keep preserved for so long. It is also pretty amazing that cultures that had no direct contact with each other, could have the same ideas and beliefs about honoring the dead. Interesting that Ancient Egyptians and this Wari culture would both figure out and use mummification. I guess this is more proof that no matter what culture you are from or where you live, there are just some things intrinsic to all humans. Kind of comforting. 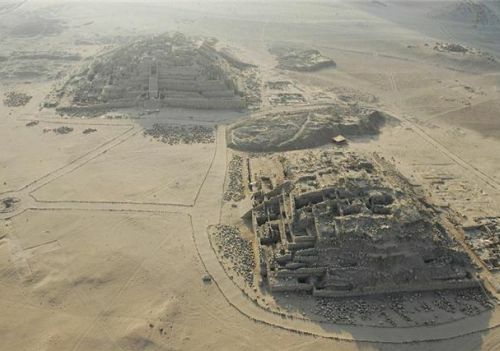 Caral, a city as old as Mesopotamia! While there are plenty of things to do in Lima to keep you busy, if you fancy a trip outside of the city, there are numerous places you can visit. Lima is a great place to make your home base, as it is close to the popular weekend beach getaways in the North and South, the Central sierra mountains and numerous smaller cities with lots of ruins and not a lot of crowds. Nothing against Machu Picchu, as it truly is something everyone should see, but it is great to have options closer to home that are not as packed with tourists and that you can afford to visit many times. Plus, these sites are only a few hours by bus from Lima, making them easy day or weekend trips. One city that is only 3 short hours north from Lima is Caral. Located in this city is the Conjunto Arqueologico Central de Caral, which is one of the best known sites in the area. This city is home to what scholars believe to be the oldest civilization in the Americas. The ruins date back over 5,000 years, which means there were cities and life in Peru around the same time as Mesopotamia and Ancient Egypt. 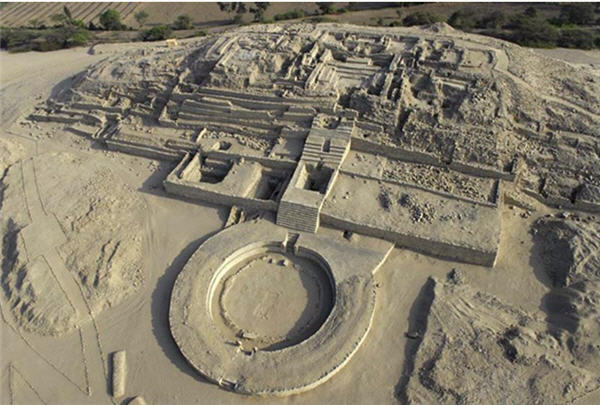 Over the years, other sites have been found in Peru that have been traced back to around the same time as Caral, but none can compare to the immense size and complexity of Caral: nearly 160 acres of pyramids, sunken plazas and residential structures. It has been suggested that the city also influenced the development of other pre-Inca and Incan urban designs. Getting there is easy: You can rent a car or go by bus. Going by car is good if you plan to stop along the way for side trips, but if your main destination is Caral, the bus is the easiest and most comfortable option. Most bus companies have daily departures to Caral; the trip can be done in one full day, but if you want to spend the night and explore the surroundings more, there are many affordable hotels around. The parts of the city visitors are able to walk around are primarily focused around two sunken round plazas and various pyramids and residences. The site does not allow you to be in the park alone, therefore you will be required to have a guide accompany you. A local archaeological team is available and will give you tours of the ruins or you can sign up ahead of time in Lima at one of the many tour agencies. This site is something worth seeing and does not get as much international attention as Machu Picchu.